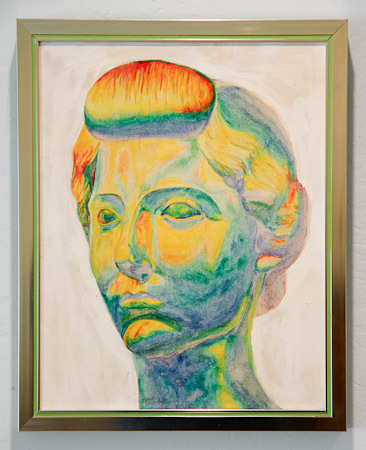 Dolores Dietler Collection » Man Evolves. 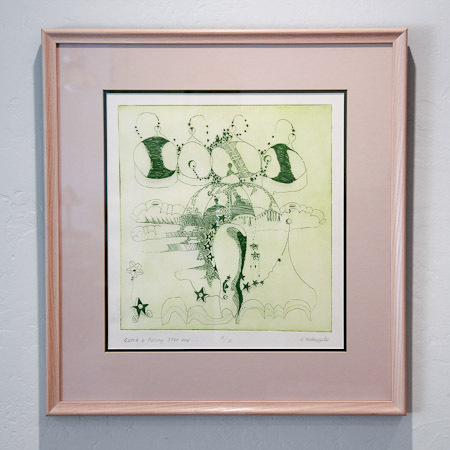 In 2012, Jay-Jay Gallery in Sacramento, California offered for sale at silent auction the entire art collection of Dolores Dietler. She had been selecting works from among the regions finest artists. 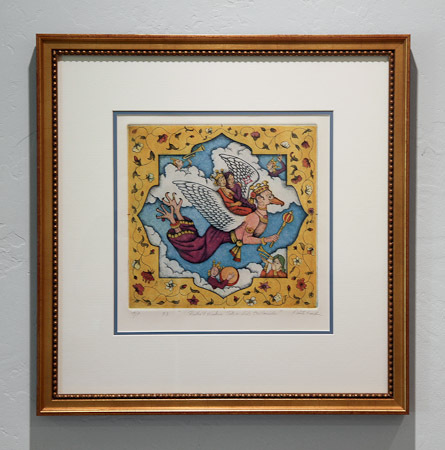 Herein will first be represented the images of those works. As time permits, information regarding the artists will be added. As it is available, dimensional information and descriptions of the media used will also be added. 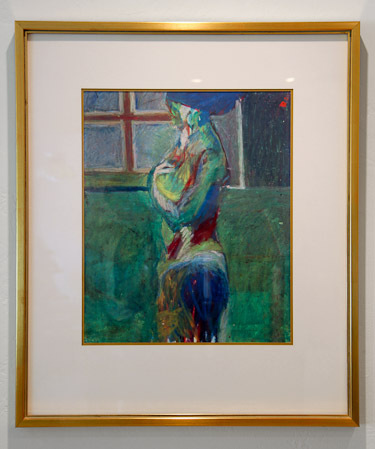 Title unknown by Mary Warner, oil stick on paper, 44.5” x 38.5”. Mother by Steve Hurd, oil on canvas, 15” x 12”. Stand in the Place Where You Live by S. R. Jones, mixed media, 13” x 13”. Yellow Eve by S. R. Jones, mixed media, 13” x 13”. 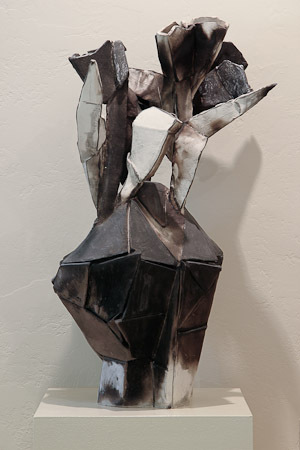 TE II by Yoshio Taylor, ceramic, 28” x 19”. 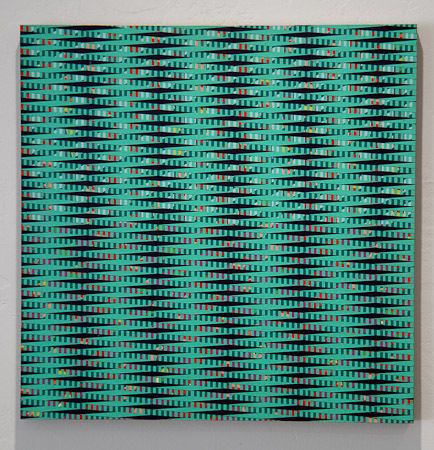 Oblique Matrix by Gary Pruner, oil on canvas, 25” x 34”. 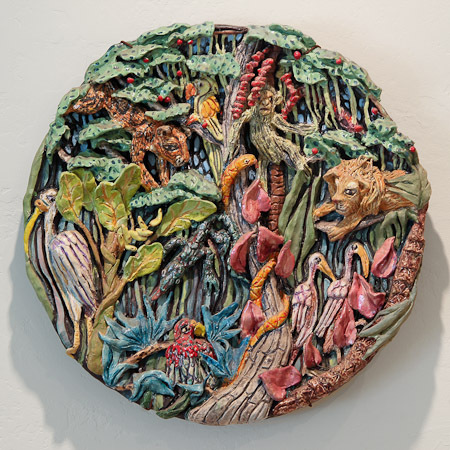 La Jungla by Maria Alquilar, ceramic, 20″ diameter. 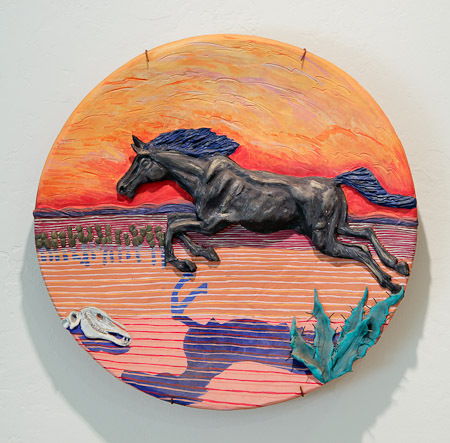 Wild Stallion by Maria Alquilar, ceramic, 19″ diameter. 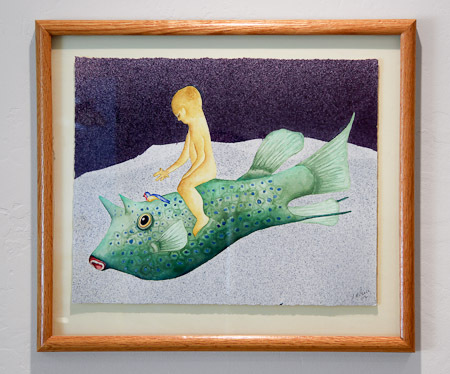 El Mar Apinado (The Crowded Sea) by Maria Alquilar, etching, 17” x 20.5”. 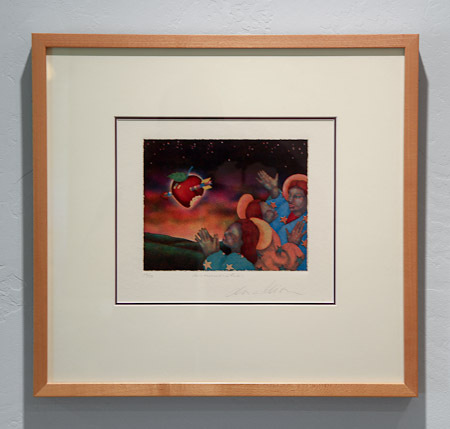 Loved to Death Series: Take My Hand and … by Maria Alquilar, acrylic on aluminum, 28” x 24”. 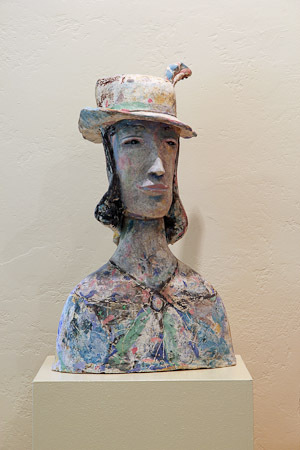 Title unknown by Maria Alquilar, cast iron. Title unknown by Maria Alquilar. Title unknown by David Andersen, 10” x 10” x 8.5”. 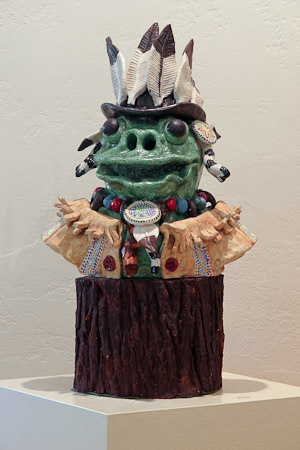 Title unknown by Fred Gordon, ceramic, 16” x 27” x 6″. 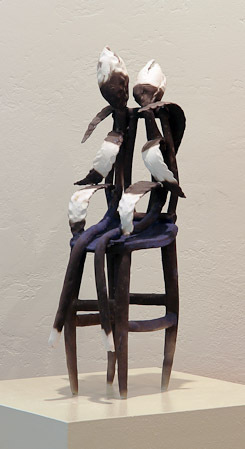 Title unknown by Fred Gordon, ceramic, wood, wire, ~30″ long. 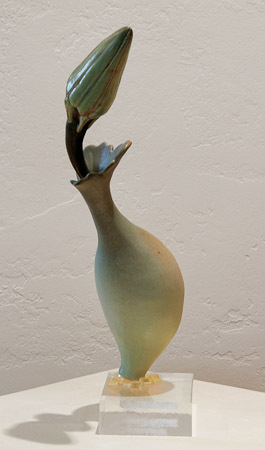 Still Day in August by Fred Gordon, ceramic, 12” x 31”. 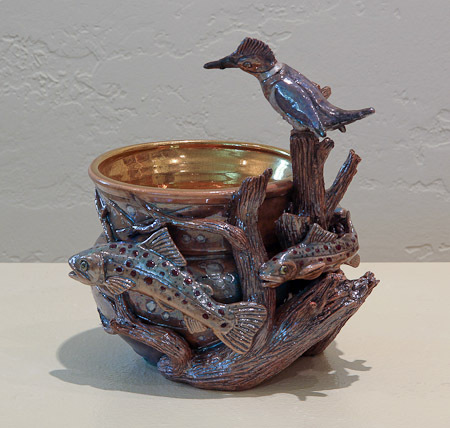 Log Jam at Bear Creek by Fred Gordon, ceramic, 8” x 7” x 8”. 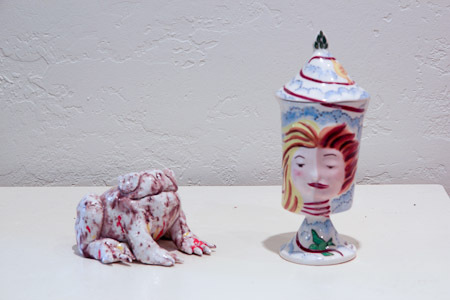 Two pieces by Fred Gordon, ceramic, 5” x 3.5” x 11” (cup) and 4” x 3” x 8”. 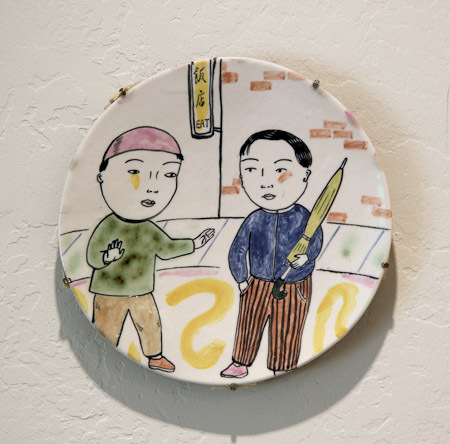 Untitled by Beth Lo, glazed ceramic, 8.5″ diameter. 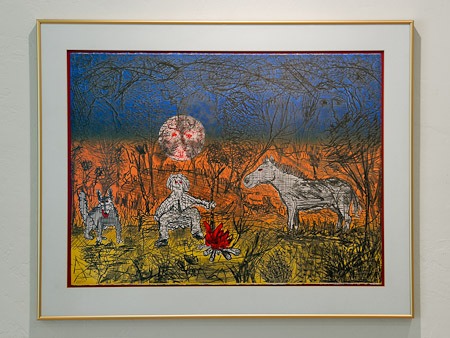 Catch a Falling Star and… by S. Holoapple, (2/2), etching, 20” x 19”. Title unknown by L. M. Paris, watercolor, 16.5” x 19”. 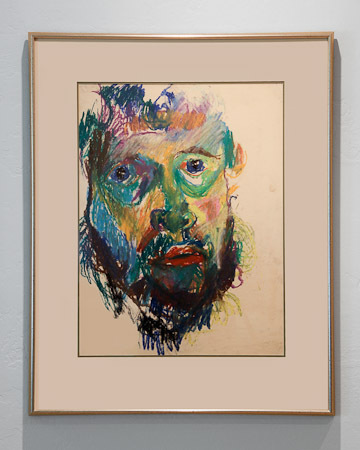 Title unknown by Ian Sutherland, pastel, 26.5” x 22.5”. 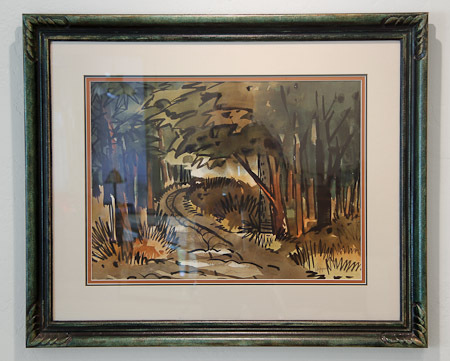 Title unknown by Ian Sutherland, pastel, 33” x 26”. Night Sky No. 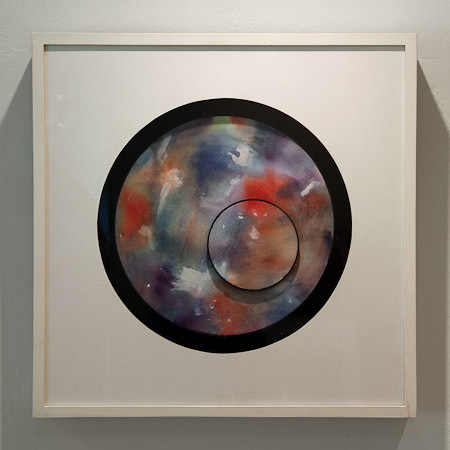 6 by Mark Emerson, polymer on panel, 18” x 18”. Title unknown by M. Guetling, oil on canvas, 19.5” x 23.5”. Title unknown by Fred Dalkey, ink on paper, 18” x 15”. Dos Rusticos by Frank Kent,, 15.5” x 20.75”. 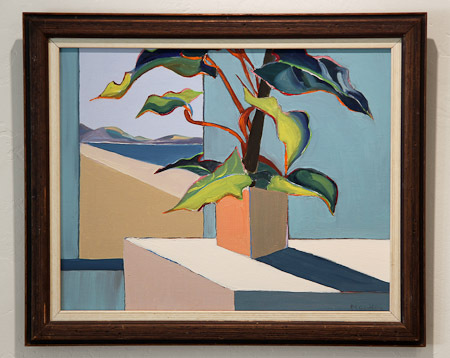 Untitled by Jack Ogden, 15.5” x 20.75”. 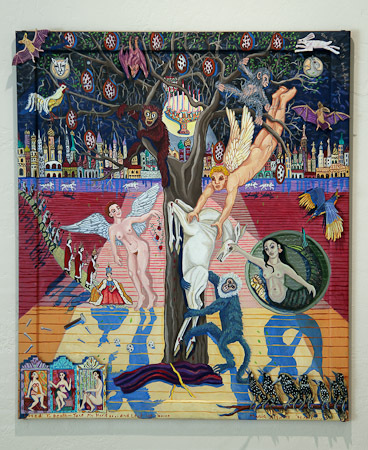 Dead Poet Borne by a Centaur by Tom Clark, oil on canvas, 22” x 28”. 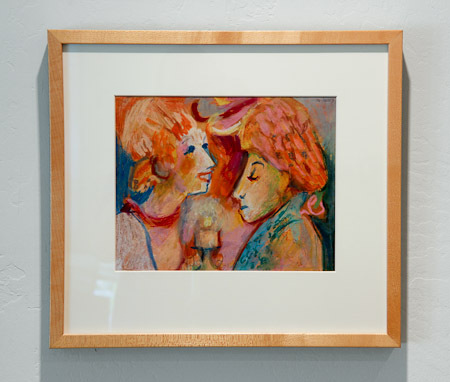 Title unknown by Mary Jones, pastel on paper, 14” x 15.5”. 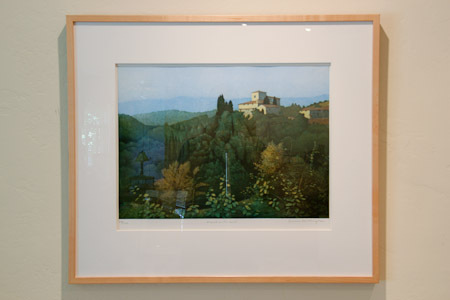 Monti in Chianti by Terrance Millington, (38/200), etching, 25” x 29”. 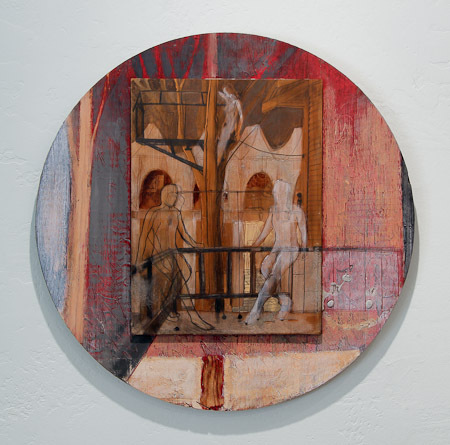 Backyard by Gary Viviano, mixed media on wood, 23.5″ diameter. I am happy to say that this piece is now in the Edwards/Pedersen Collection. Title unknown by W. C. MacArthur, 25” x 25”. 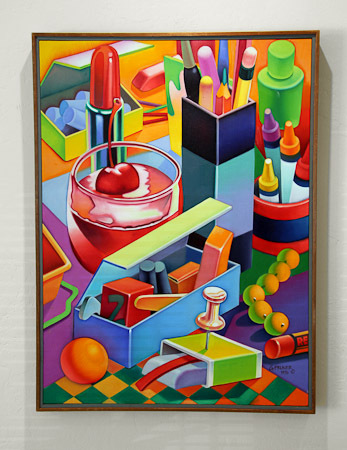 Title unknown by Roy DeForest, 28.5” x 36”. 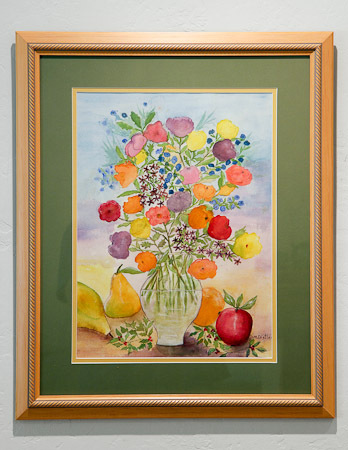 Fruit and Flowers by Dolores Diettler, watercolor, 22.5” x 18.5”. 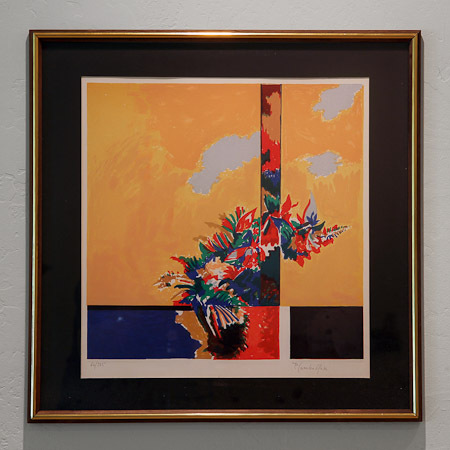 Title unknown by Piero Carabellese, 21” x 21”. 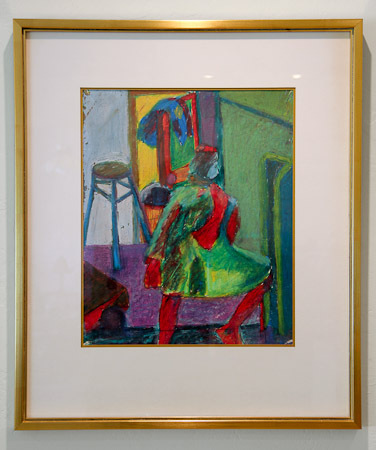 Title unknown by Irving Marcus, pastel, 24.5” x 29.5”. 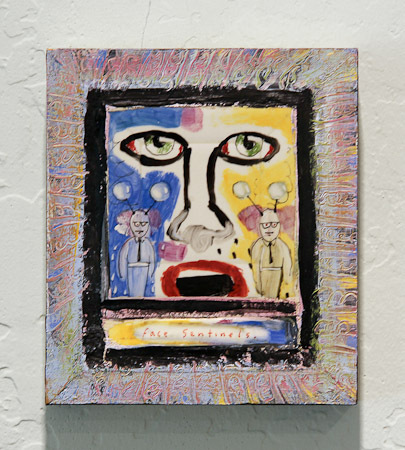 Face Sentinels by Fred Babb, 5.25” x 4.75”. 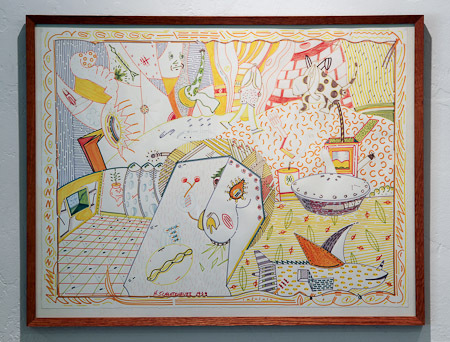 Title unknown by H. Schlotzhauer, markers on paper, 22” x 28”. 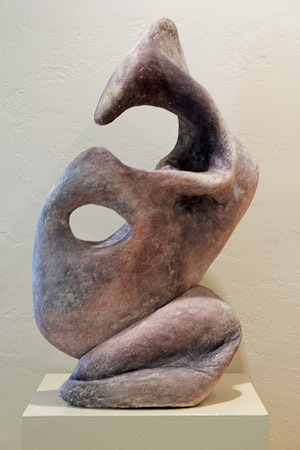 Untitled sculpture by Peter VanderBerge, ceramic, 24” x 13” x 11”. An additional view of the preceding piece. 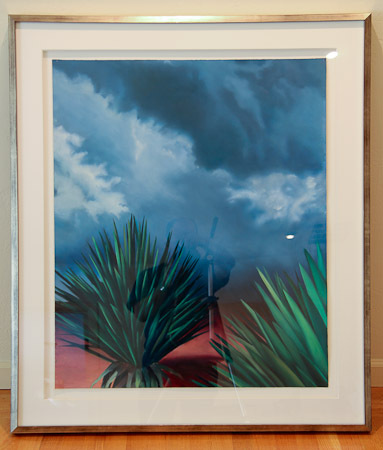 Untitled work by Ruth Rippon, 29” x 34.5”. 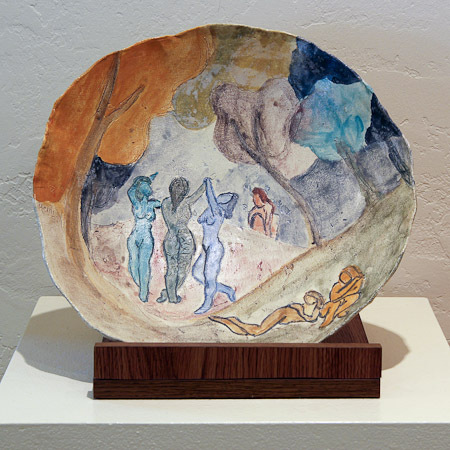 A plate, title unknown by Heidi Bady, ceramic, 14″ diameter. 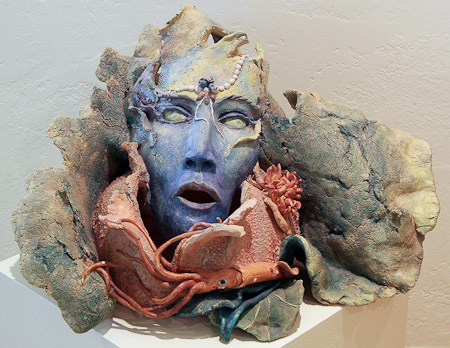 Untitled sculpture by Donna Billick, ceramic, 27” x 7”. 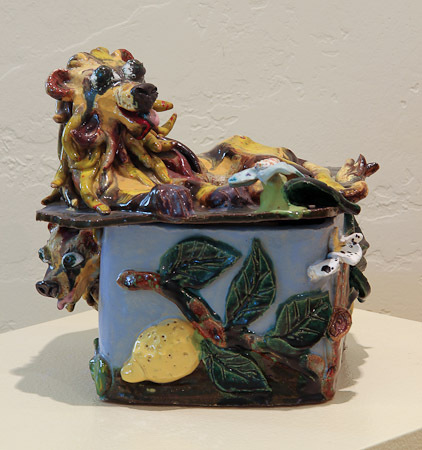 Our Little Secret by Paul Dipasqua, found ceramics, 21” x 13.5”. 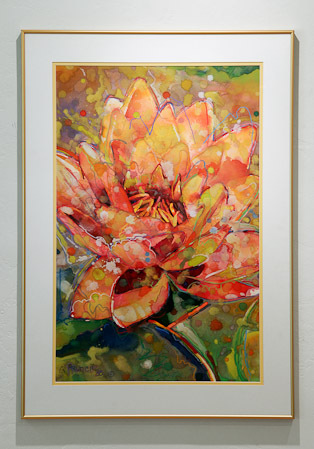 Title unknown by Nancy Norman, watercolor, 28.75” x 36.25”. 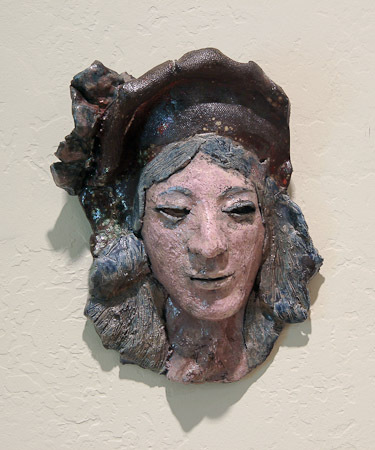 Bust by David Gilhooly, ceramic, bust: 16” x 16” x 10”; base: 9” x 10” x 9”. 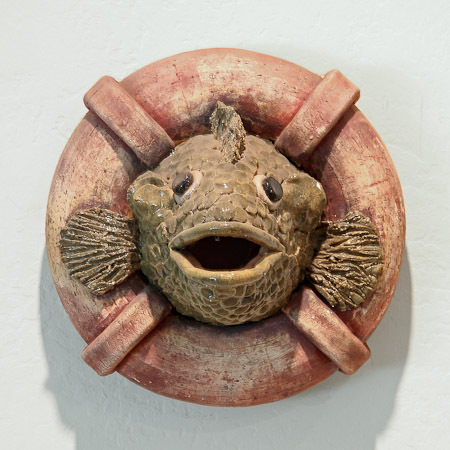 Title not known by David Gilhooly, ceramic, 3” x 4” x 4”. 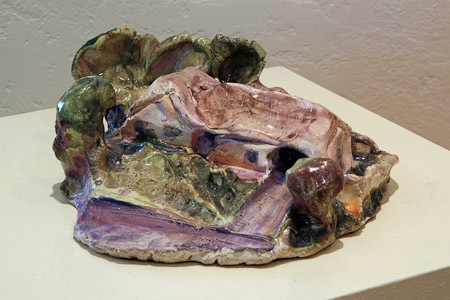 Untitled sculpture by Maija Peeples, ceramic, 5” x 9” x 2”. 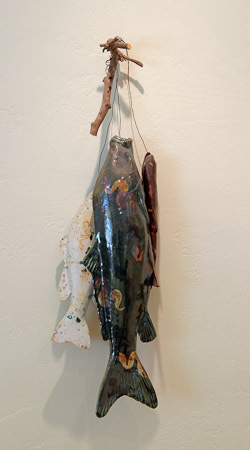 Untitled sculpture by Maija Peeples, 4” x 5.5” x 4”. Untitled sculpture by Maija Peeples, 9” x 8” x 8”. 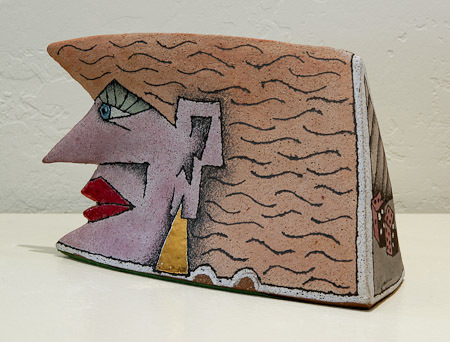 Alice House by Robert Arneson, ceramic, 3” x 10” x 8”. 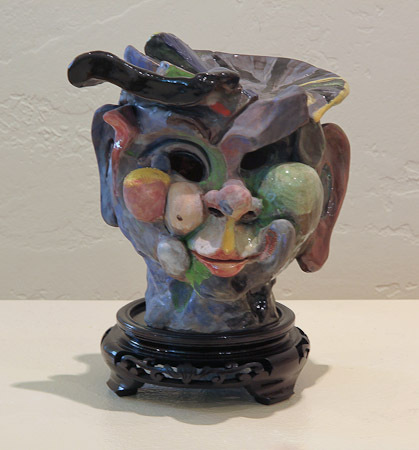 Alice Pot by Robert Arneson, ceramic, 16” x 9” x 9”. 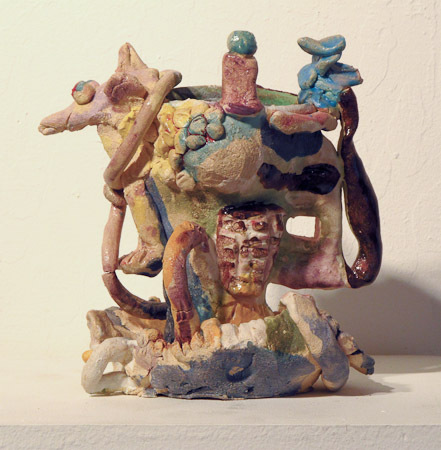 Untitled sculpture by Theo Samuels, ceramic, 16” x 11” x 7”. 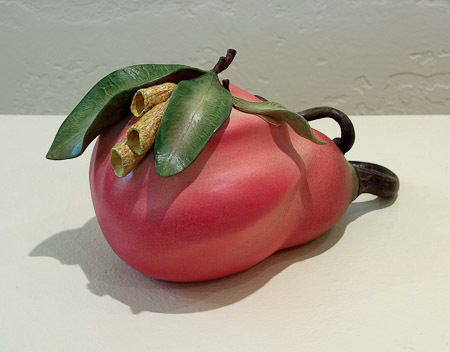 Pear by Tara Inuo, ceramic, 5” x 4” x 10”. 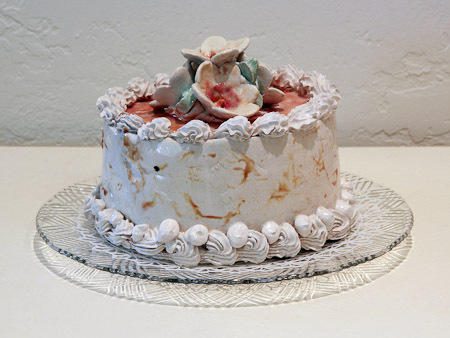 Ceramic cake by Jeff Nebeker, ceramic, 4” x 7” x 7”. Nebeker is, by trade, a baker. The dimensions are uncertain. My recollection is that it was about 12″ high, or less. There is an unfortunate story to this piece. 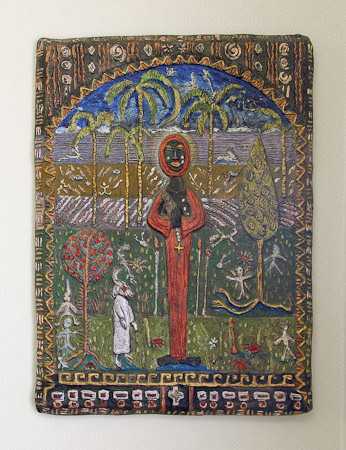 We have two of Nebeker’s paintings in our own collection, and were interested in buying one of his more recent clay representations of the cakes that he bakes in real life. 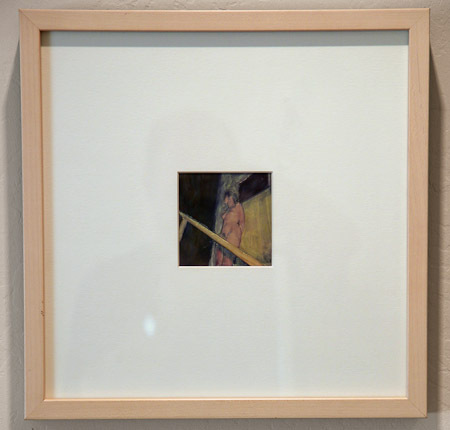 When we previewed the show, this piece was missing, and Beth Jones was reluctant to talk about it. We found out, from other sources, that, when the doors were open to the auction, the assembled crowd rushed in to the gallery and some bozo knocked over the pedestal on which this piece was displayed, sending it crashing to the floor. 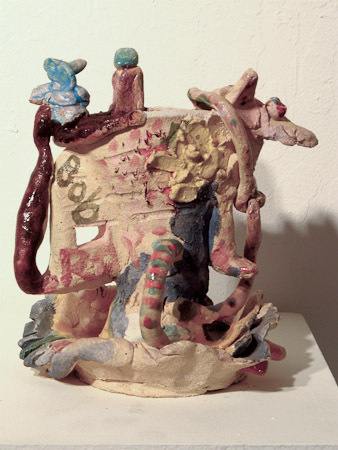 Untitled sculpture by Remus Visgirda, ceramic, 7” x 10” x 4”. 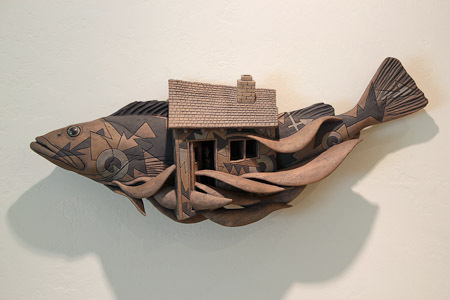 Rimas VisGirda was born in Kaunas, Lithuania, and received an MFA in ceramics from Washington State University in 1973. 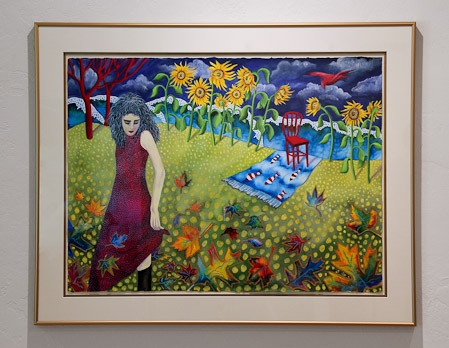 Spy in the Garden by Sonya Peterson (Schumacher), 18” x 4” x 4”. Unidentified work, 15” x 24” x 16”. Title unknown by Gary Pruner, 29” x 41.5”. 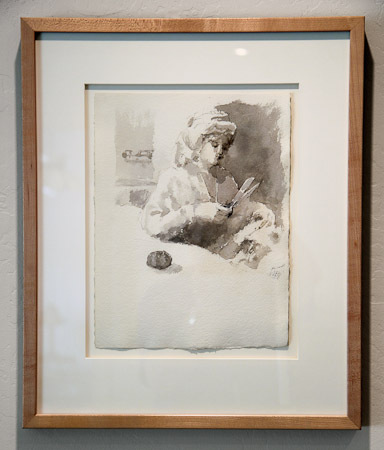 Gary Pruner has been an art instructor at American River College beginning in 1970. 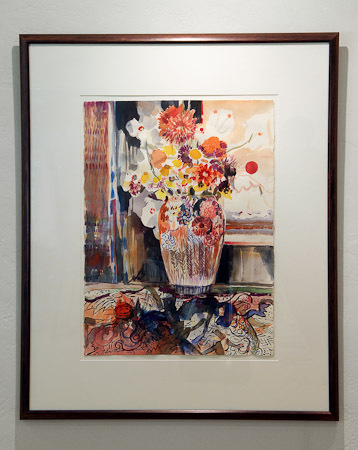 Title unknown by James Estey, watercolor, 37.25” x 45.5”. James Estey taught painting for the Los Rios Community College District. 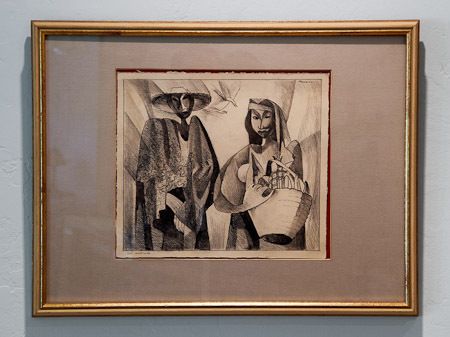 One Man Show, , etching, 30.75” x 38.25” – artist not identified. 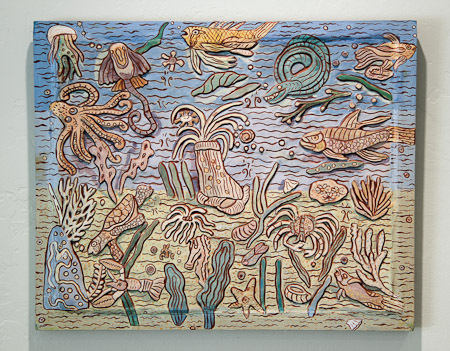 Searching for Slime Mold by Chris Unterseher, ceramic, 8” x 24” x 10”. 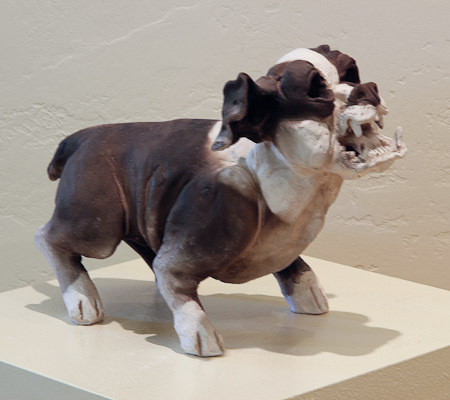 Untitled dog sculpture by Joe Mariscal, ceramic, 13” x 6” x 16”. 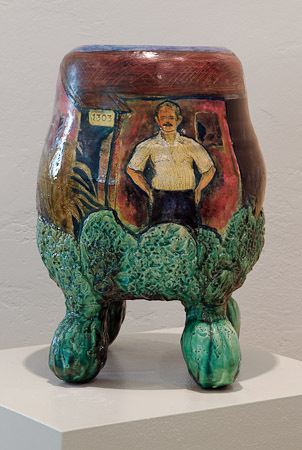 Dog sculpture by Joe Mariscal, ceramic, 10” x 7.5” x 15” with title uncertain. 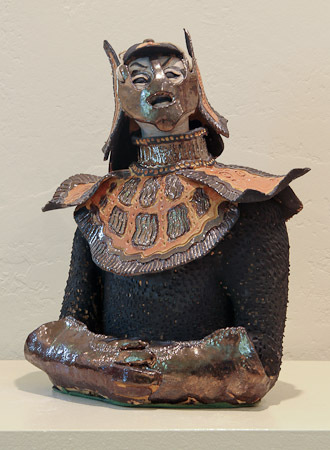 Title unknown by Larry Love, ceramic, 20” x 5” x 9”. 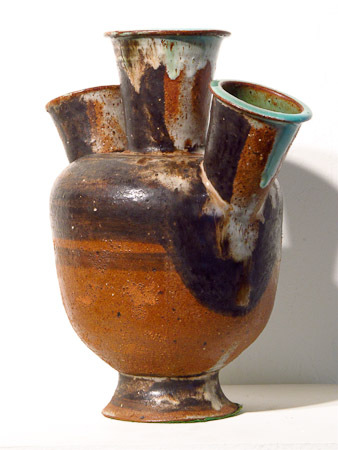 Perhaps Larry could give me a call and let me know what to call these three pieces. 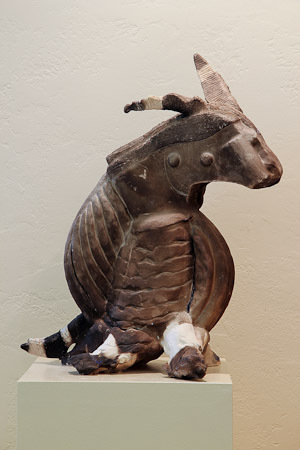 Title unknown by Larry Love, ceramic, 25” x 10” x 19”. 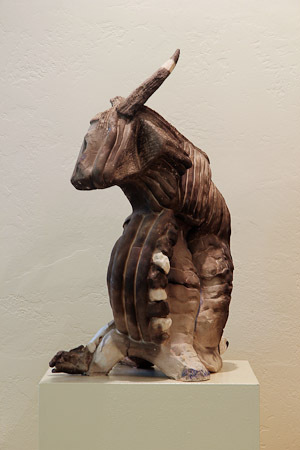 Title unknown by Larry Love, ceramic, 25” x 10” x 19”. 2nd view of previous piece. 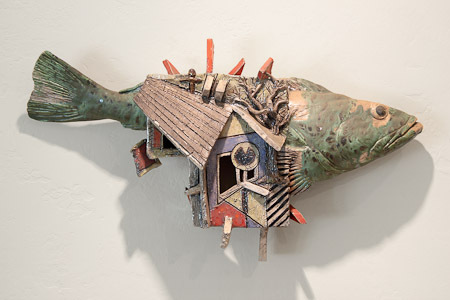 Title unknown byLarry Love, ceramic, 25” x 10” x 19”. 3rd view of previous piece. 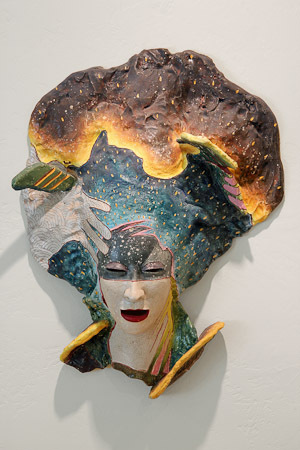 Title unknown by Larry Love, ceramic, 32” x 12” x 16”. 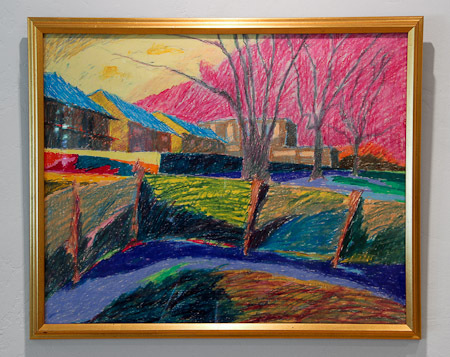 Title unknown by Robert Else, oil on canvas, 23.25” x 73.25”. 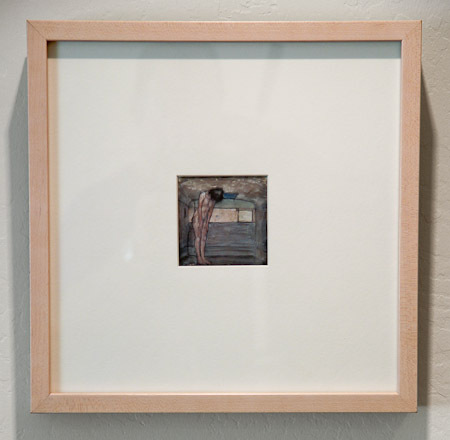 Robert Else was a professor of Art at California State University – Sacramento. There is, on that campus, the Robert Else Gallery, named in his honor. 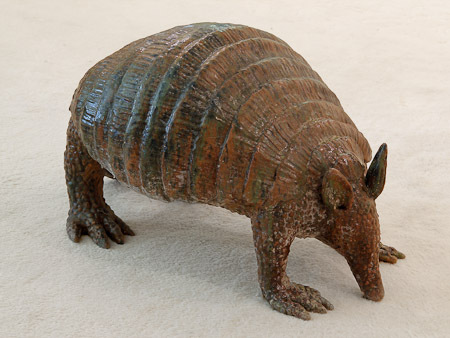 Title unknown (probably Armadillo) by Eric Dahlin, 16” x 15” x 20”. Eric Dahlin is on Facebook at https://www.facebook.com/eric.dahlin.5 His ceramic crows, bunnies and cardinals are fixtures at several local art galleries. We have one of his big vultures in the Edwards/Pedersen Collection. 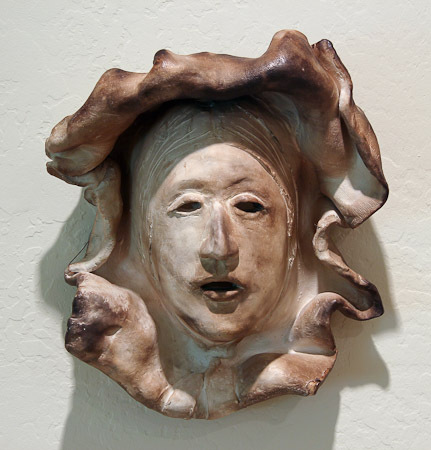 Title unknown by Gilmer Peterson, ceramic, 11” x 10” x 4”. 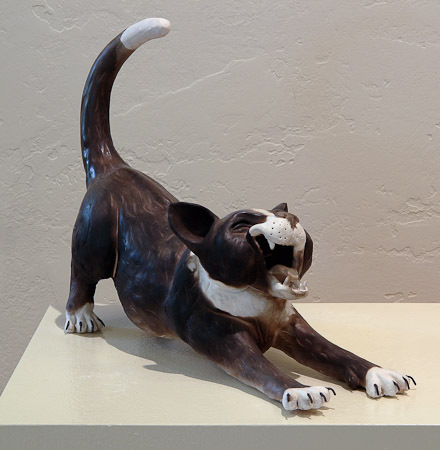 Title unknown by Gilmer Peterson, ceramic, 9.5” x 6.5”. 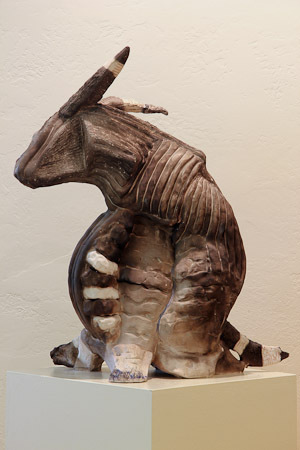 Title unknown by Chooi Goh, ceramic, 30” x 9” x 17”. 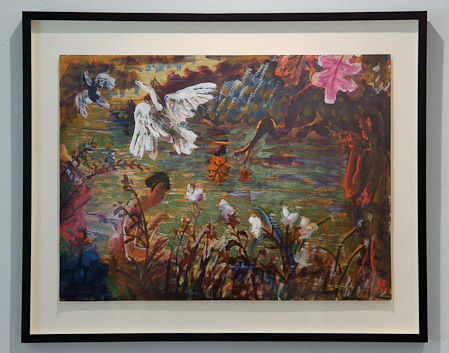 Annunciation by Dan Allison. 16.5″ x 17.25″. Dan Allison’s website is www.danallison.net. 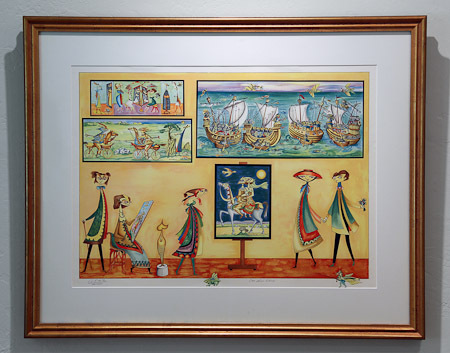 Radha and Krishna Take a Ride on Gouida by Roberta Loath. 18.25″ x 18″. 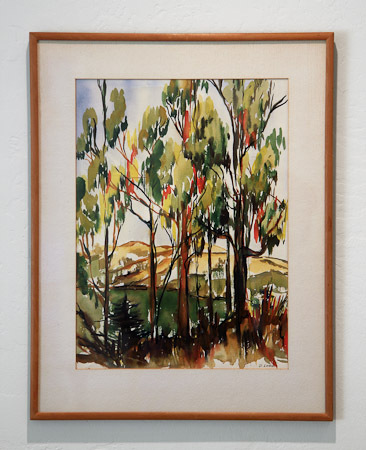 Watercolor – artist unknown, 10.75″ x 12.5″. Rob Roy Cup by Robert Arneson and Roy DeForest. 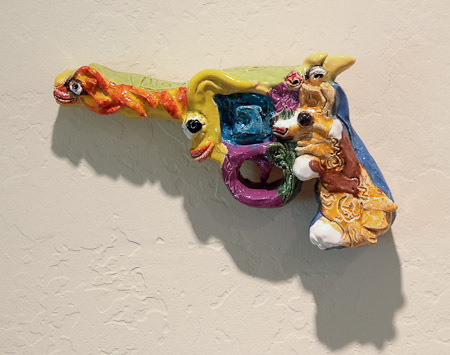 Ceramic, 6.5″ x 6.5″ x 5″. Rob Roy Cup by Robert Arneson and Roy DeForest. 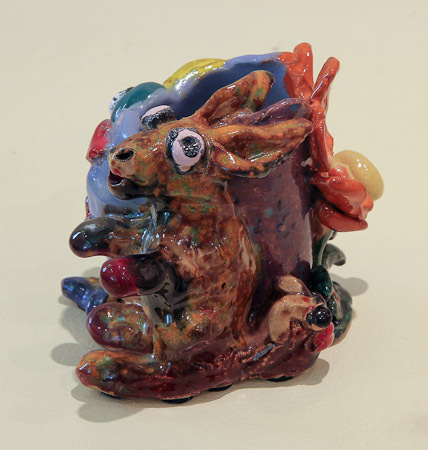 Ceramic, 6.5″ x 6.5″ x 5″. 2nd view. 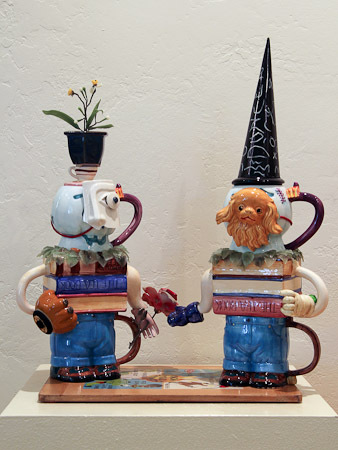 Robert Arneson was born in Benicia, California in 1930. 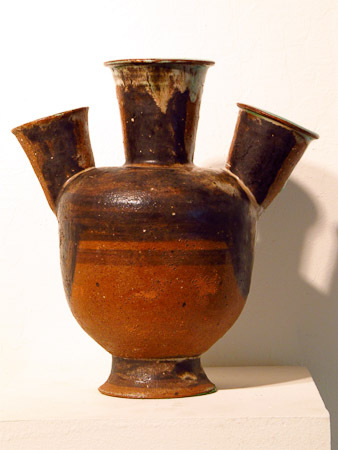 For 40 years, he was a professor of ceramics at University of California at Davis. He is considered to be the “father” of the Funk Art movement. Roy DeForest was also born in 1930. 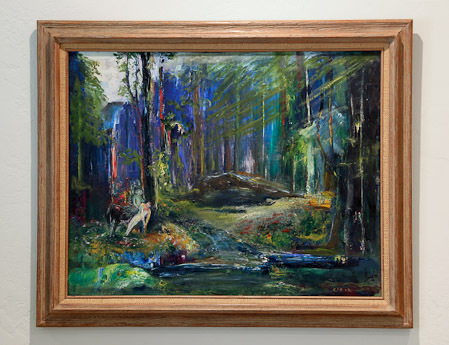 Primarily a painter, Roy also taught in the Art Department of UC Davis. Marguerite Wildenhain was born in 1896 in Lyon, France. 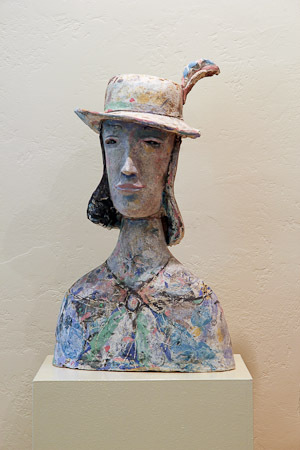 She held classes in ceramics during summer at Pond Farm Workshops near Guerneville in California. Images and descriptions were supplied by Jay Jay Gallery. If memory serves, images were made by Dave Wetzel. Commentary is by Alan J. Pedersen.